Image on a postcard located on eBay. Flag divided 1:2, green and striped 13 red and white stripes. 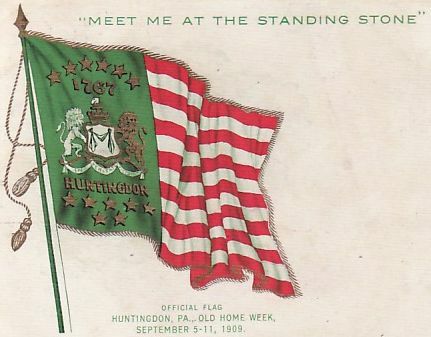 On green stripe by hoist, the coat of arms, 6 gold stars and 1767 above, HUNTINGDON and 7 gold stars below.